The timing on this announcement is very, very interesting, don't you think? I certainly do. Earlier this month, Hideo Kojima said Metal Gear Solid V: The Phantom Pain would be his final Metal Gear. Yesterday, it was discovered that Konami appeared to be erasing the Kojima brand from Metal Gear. There was concern that Kojima was leaving Konami. And today, Konami issued a statement announcing its plans to make, you guessed it, more Metal Gear. The latest entry in the series, Metal Gear Solid V: The Phantom Pain, will be released with Hideo Kojima as originally announced on September 1, 2015 in North America, Central and South America and Europe as well as on September 2 in Japan and elsewhere in Asia. 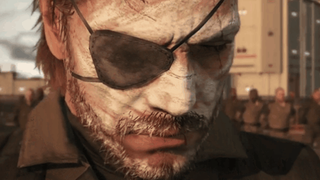 After the release of MGSV: TPP, Konami plans to also continue releasing titles in the Metal Gear series. We would like to offer our deep gratitude for your continued support of the Metal Gear series. Furthermore, Konami has decided to begin work on a new entry in the Metal Gear series. Applications for principal staff for this title is underway. The statement then asks hopefuls to look at at this Konami job page, which does not mention Kojima Productions, but does state it's looking for candidates with "high-end game" development experience and those with "new ideas." Back in 2009, Hideo Kojima told Kotaku, "If you write that 'Kojima-san doesn't have to make Metal Gear any more' every day on Kotaku, and write to the CEO of Konami and tell him that, then it might be easier for me to make non-Metal Gear games." If the rumor is true (big "if"!) that Kojima will leave Konami at the end of the year, this might be a good thing for him. He'll have a chance to work on something totally new. So while he might not have to make Metal Gear anymore, Konami's announced today shows that it does.